My BFL (Bestie For Life) Jesse Palter always used to tell me that her great-grandfather invented the slingback, the platform and the peep toe. And as if I already didn’t think my bestie was the coolest person on the planet, that little gem of a fact really solidified it given my fascination with shoes at a VERY young age. 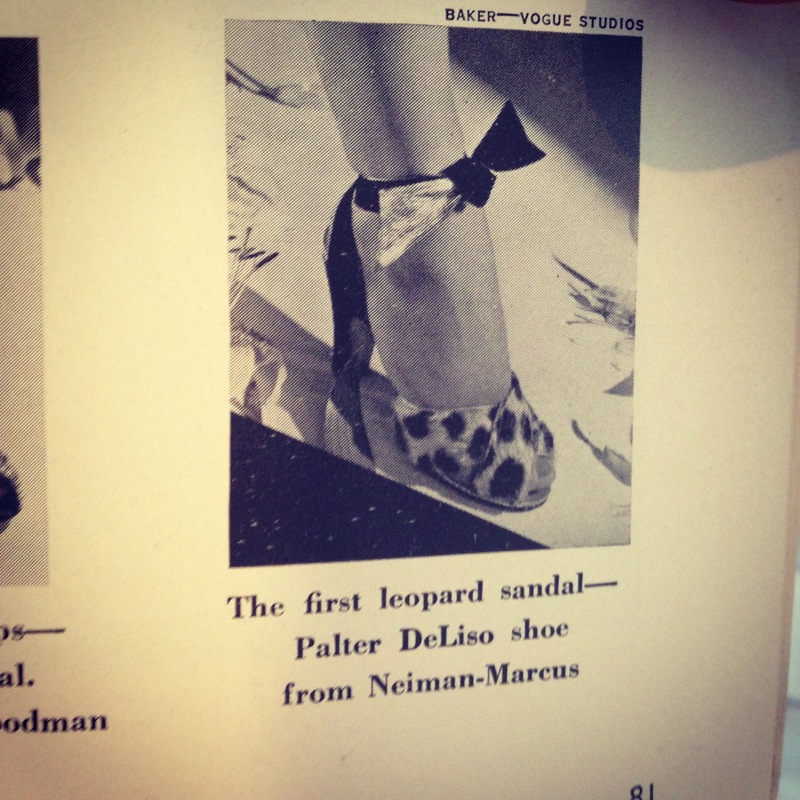 Jesse and I always talk about how cool he was, look up his old shoes on Ebay and dream about how if only Palter DeLiso shoes were still around so that our feet could be made for oh-so-fashionable-walking for all of eternity. 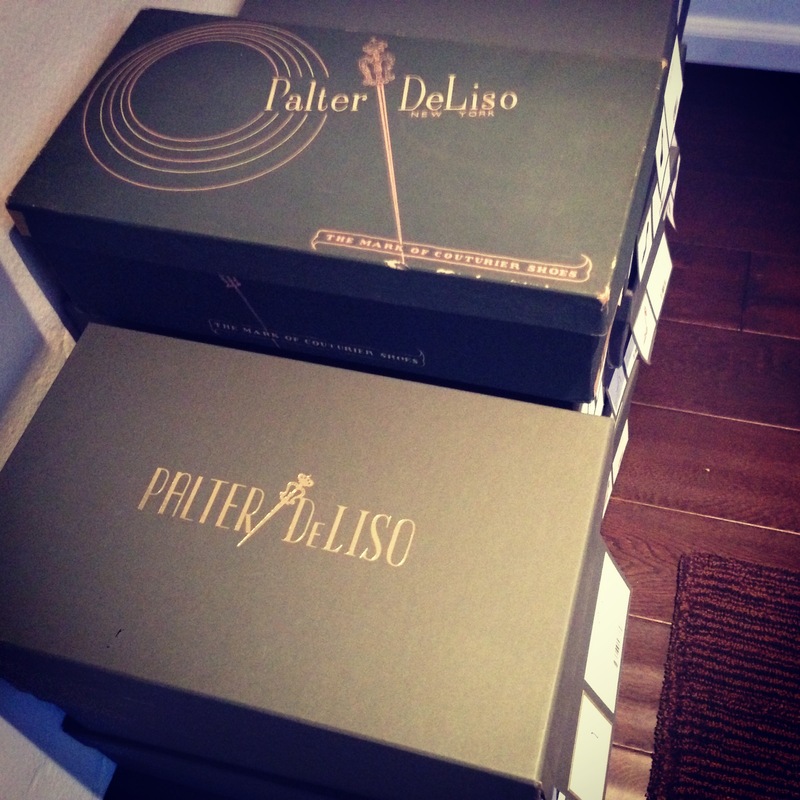 Palter DeLiso originals– Um, we would SO still wear these! Alas, the amazing, beautiful, you-want-every-single-shoe-you-see Palter DeLiso brand eclipsed in the 1960s and so for as long as Jesse and I have been friends, we’ve known that just like Britney & JT rekindling their love, this was one dream that just wasn’t going to happen. Well here’s a lesson in the whole never-ever-ever give up on your dreams thing- it’s like Jesse’s great-grandfather Dapper Dan Palter heard our wishes and sent Lauren Bruksch and Taz Saunders to be our real life fairy shoe godmother/father: thanks to this dynamic duo, Palter DeLiso is BACK and better than ever! Flash forward to present day when Jesse found out Palter DeLiso was back and reached out to them. Jesse was invited to go meet them and see their show room right here in Los Angeles and she asked if I could tag along. I was honored! And excited! But also a bit nervous. This was something Jesse has dreamed about forever and the truth is, anyone could have bought the rights to Palter DeLiso and that meant that the shoes could either be total beauts or totally awful. After we set foot into their showroom, it was instantly clear that Palter Deliso was in good hands. Lauren and Taz have the worlds BEST taste because holy amazingness to the max– pair after pair after pair were take-your-breath-away beautiful. beyond in love with these White Vixen pumps with scallop detailing. And what’s even more, Lauren and Taz are SO committed to keeping the original integrity of the brand woven into their revival. From the logo to the designs to the lasts that are used to mold the shoes, they have kept so many of the original elements that it really felt as if Palter DeLiso never stopped making gorgeous shoes and bags. 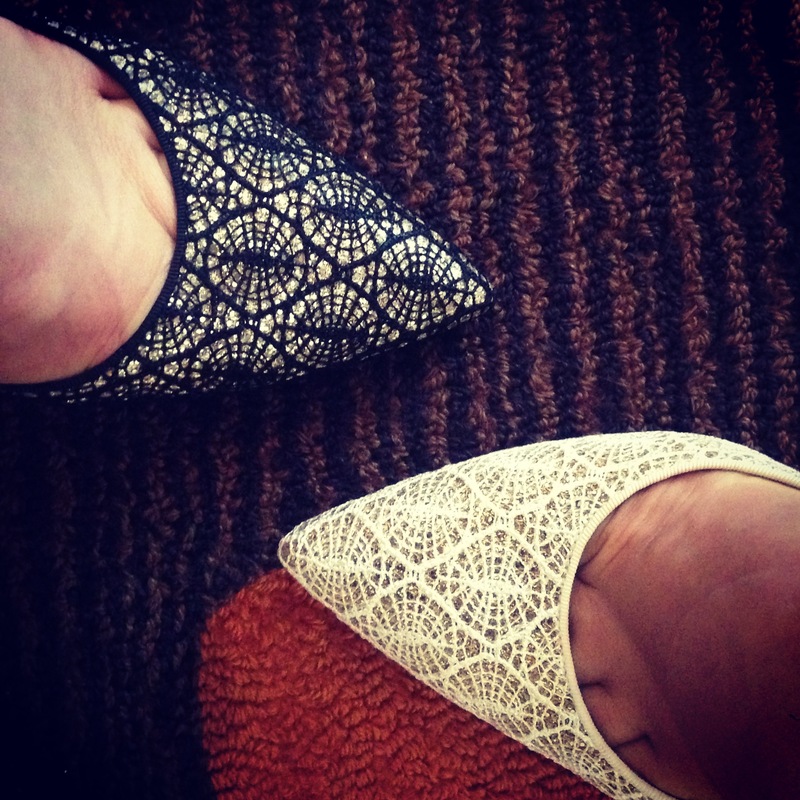 Left: Vintage Palter DeLiso floral pump. 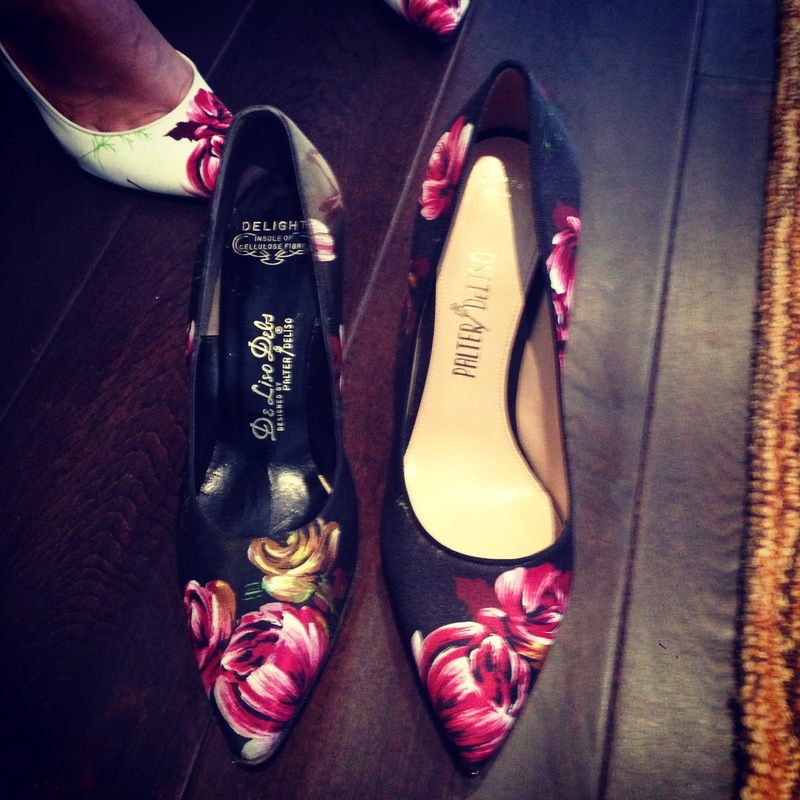 Right: New Palter DeLiso floral pump! 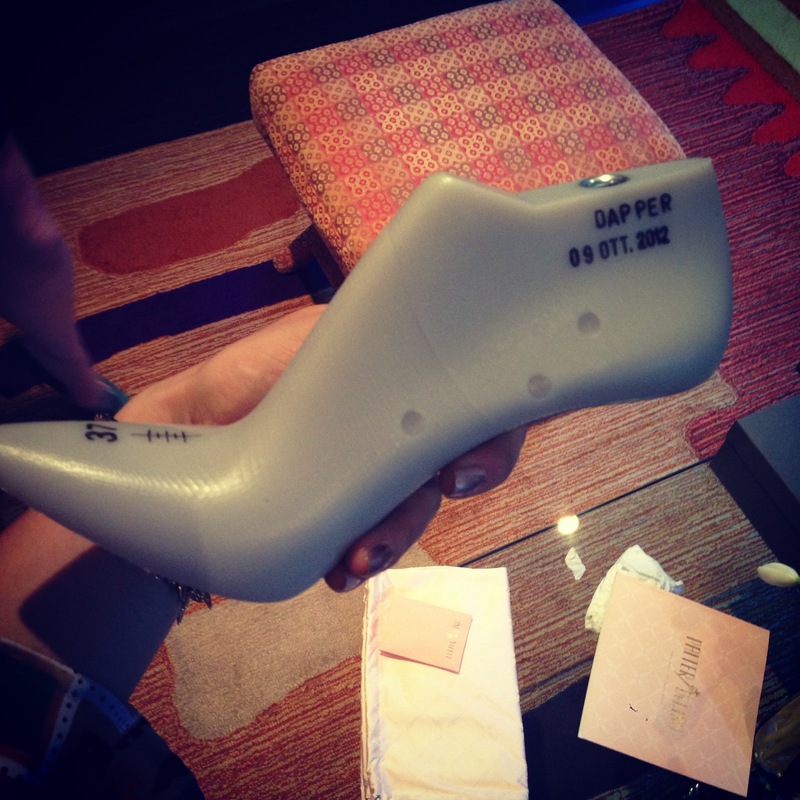 The last (mold) used to make Palter DeLiso shoes use the name names paying homage to the original shoes! It was SUCH an amazing day, meeting these incredible co-founders and seeing what they have done with the Palter DeLiso name. 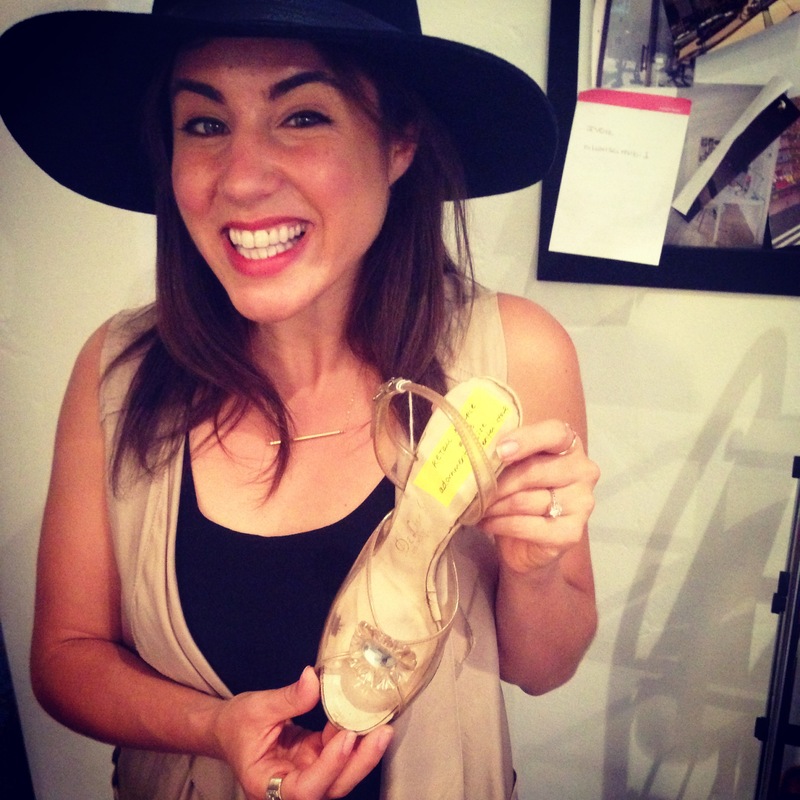 And while of course I had a total blast trying on the shoes (trust me, you will want them all), it was SO much more fun and meaningful for me to watch my best friend take it all in… and try on shoes that bare her name! How cool is that?! Lauren & Taz had so many of the Palter DeLiso original shoes, bags, advertisements etc and Jesse finally got to see them and touch them and it felt like she really finally got to know a piece of her great-grandfather. Jesse holding a Palter DeLiso original! 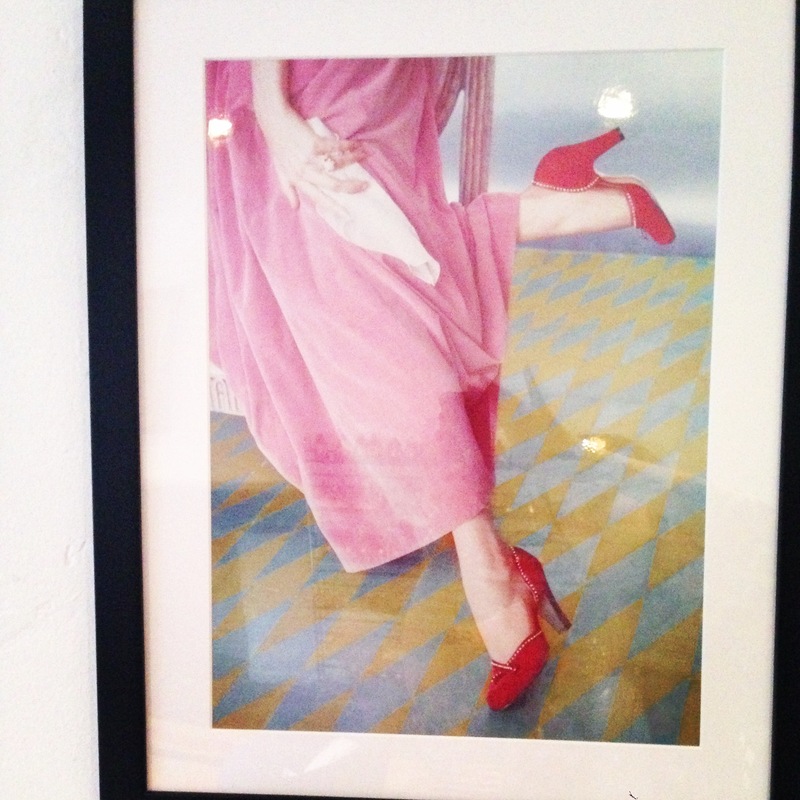 An old advertisement and pair of shoes greet you when you walk into the show room. Vintage Palter DeLiso on the wall! 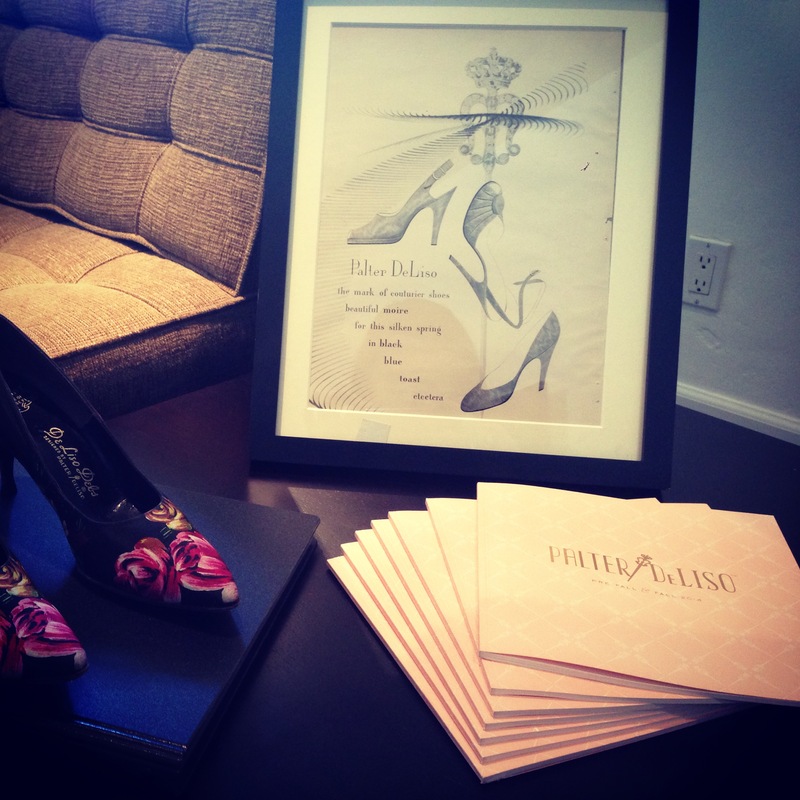 It was so amazing to see how this new brand has evolved while still honoring the shoes and bags of yester-year. Make new friends but keep the old, right?! Jesse making friends with a new Palter DeLiso handbag! 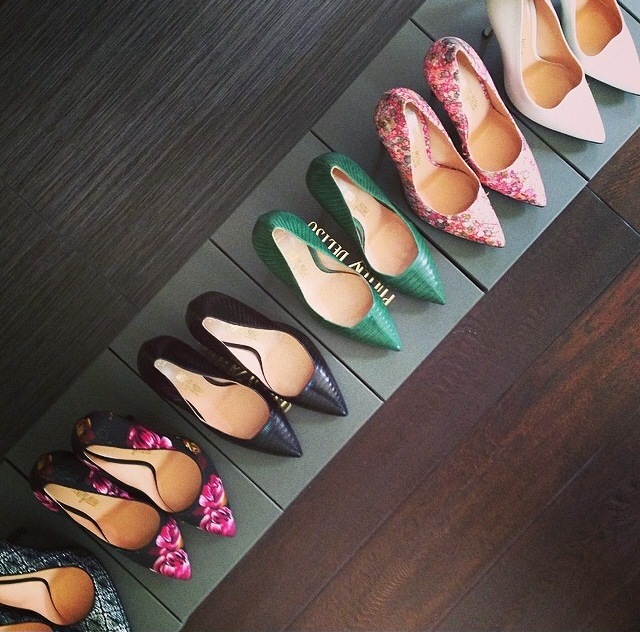 We made friends with these “Kiss” pumps. Ub-sessed. The whole Palter DeLiso team was so generous with their time, and it was such a special day for us both! Not only do we have a new favorite brand (obviously!) but now, we actually can sit and talk about how cool it is that our feet can be made for oh-so-fashionable Palter DeLiso walking for eternity. Thanks os much Melissa! SO sorry for the delayed response! Thanks for reading! Aren’t these shoes amazing! Hope you’re having a fabulous summer! all the best!